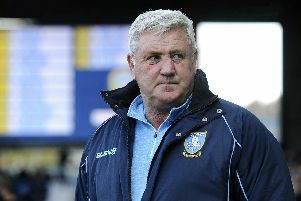 The opportunity to work under his first foreign coach was a big draw for new Sheffield Wednesday signing Ross Wallace. Former Scottish international winger Wallace signed a one-year deal with the Owls yesterday after his release from Burnley. And the 30-year-old said he was intrigued by the prospect of working under new Wednesday head coach Carlos Carvalhal. “I’ve never worked under a foreign coach before so I’m really looking forward to that,” Wallace told the Star. “It’s going to be different and it’ll be interesting to see how it all works. It’s exciting for me. “He’s (Carvalhal) has been brilliant. “He spoke to me about what he wants to do here, the type of players that he wants to bring in and what his plans are. “He wants to play attacking football and that’s my game. I’m an attacking player so it will suit me. Wallace admits he is about a week behind the majority of the Owls squad in terms of pre-season training but he hopes to play some part in today’s friendly at Alfreton Town.